This terraced holiday home enjoys a wonderful location, within a residential complex amidst a beautiful natural setting, between the seaside resorts of Rei Marina and Piscina Rei. 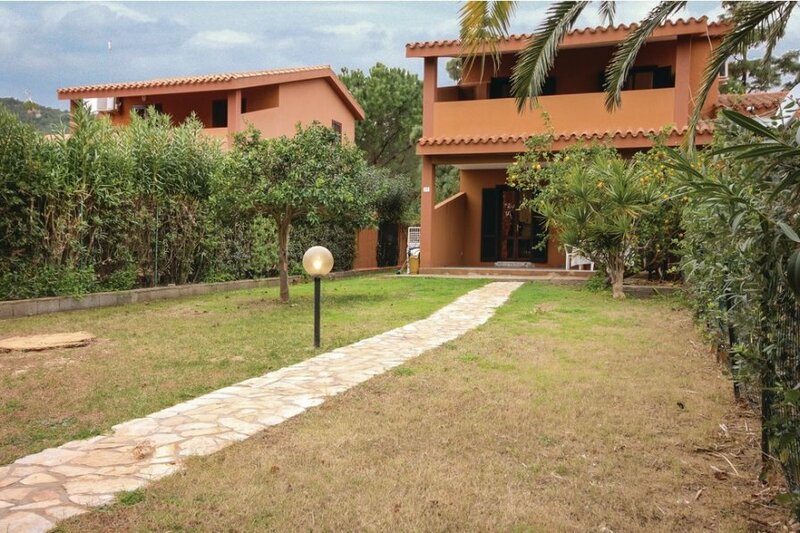 This terraced holiday home enjoys a wonderful location, within a residential complex amidst a beautiful natural setting, between the seaside resorts of Rei Marina and Piscina Rei, on the south eastern coast of Sardinia. It boasts a covered terrace, which is fantastically equipped for outdoor dining with a barbecue, as well as an outdoor shower. Costa Rei is renowned for its 8km long white sandy beach, the crystal clear sea and the lush Mediterranean vegetation that surrounds it. The complex has a restaurant, tennis and soccer courts. The following apartments are situated within the same complex: ISD815-816-817-818-819-820. In close proximity you will find a shopping center with various shops, restaurants/pizzeria, bars, tourist office, car rental, nautical services, diving center, emergency medical service, pharmacy. The beach is approximately 950m away, with the possibility of water sports and rental of parasols, deck chairs, canoes, windsurfing boards and pleasure boats.15 km way is the renowned seaside resort of Villasimius, whilst the beautiful city Cagliari (with a port and airport) is just 70 km away. The pictures are sample pictures only. This modern apartment is made from brick or stone and was built in 1980. The agent has rated it as a three star property so it is a well-kept apartment, equipped with standard furniture. It is also good value for money. The apartmentIt is located in Piscina Rei, only 1km from Costa Rei. It is set in a very convenient location, just 900 metres away from a sandy beach. There's also a restaurant only 100 metres away. The apartment has wireless internet available for an extra charge. You can also park on-site at no extra charge. The apartment is adequately equipped: it has a refrigerator and washing machine. It also has a barbecue and some garden furniture outside.